Want a ticket to ride J-Bay and beyond? 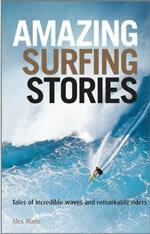 Many surfers, not least those who have read Tom Anderson's excellent Riding the Magic Carpet, will have spent a lot of time dreaming about surfing Jeffrey's Bay. Its long, reeling, exquisite right-handers are a regular footer's vision of paradise. Anderson made it to J-Bay as the culmination of a lifetime's yearning, thanks an odyssey that took him to the colder waters of the Orkney Islands and the barrels of Mundaka, not to mention a number of other classic surf spots around the world. Anyone thinking of taking the strain out of planning a similar trip would do well to check out www.ttride.co.uk. Set up towards the end of last year, Ticket To Ride's remit entails taking people who are taking time out from their careers or studes surfing in South Africa. Their inaugural three-month trip along South Africa's stunning southern coastline has just left London. The organisers - all BSA-accredited surf instructors - take surfers of all levels on the three-month adventures, and are looking to expand soon to cover Sri Lanka and Mozambique. Looks like a mighty fine way to spend a few months, not least because every one who signs up agrees to spend some time working with children in African townships. They surf, but put something back into the community - which is how it should be. See www.ttride.co.uk for more information and Monkey Trekker for more photos.